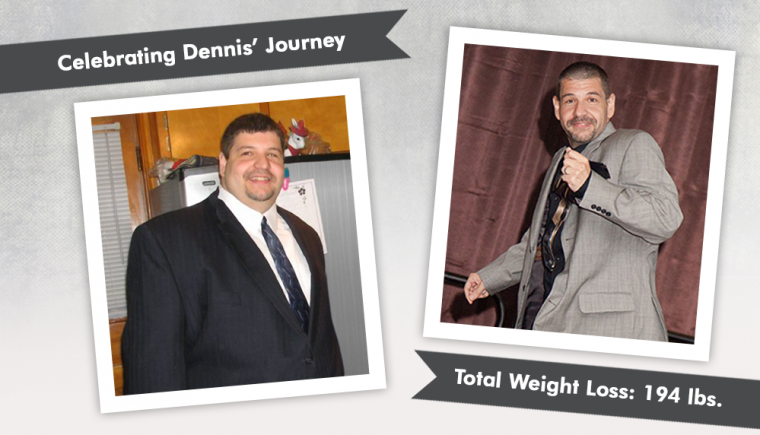 Celebrating Dennis' Journey Before & After VSG Gastric Sleeve! I've struggled with obesity most of my life. I started to gain weight when I was diagnosed with Tourette’s Syndrome. I was diagnosed at the age of 8 years old. I was part of a study and tried several different medications to try to control the tics, but it made me gain weight immediately. From being overweight and diagnosed with Tourette’s Syndrome, I was bullied greatly. As the years went by, it was very hard to make friends and concentrate in school. I remember going to a big and tall store to try and find a suit that would fit me for my grammar school graduation. My years in high school were not much different. I was still very overweight and the bullying continued. I started to make friends but not many. I even failed a semester of gym in my junior year because I didn't like to exercise. I didn't like having to change into my gym clothes and walk to the park. As a result, I had to attend summer school for gym. I went on a senior trip to Cancun for a week for my Spanish class and I got to see some of the ruins. I even tried to climb the Pyramids at Chichen Itza but was unsuccessful. I got up a few stairs but had to stop. I got a muscle cramp in both legs and had to walk down to the bus. After I returned home from the trip, my grandmother and I talked about losing weight. She registered me at Jenny Craig but I only lasted about two to three months because I wasn't following their plan, I didn’t want my grandmother to spend the money on something that I was not going to finish so I quit. The weight that I had lost, I gained back. I tried Jenny Craig, Atkins, Weight Watchers, and even just watching what I put in my mouth. Many times, I did lose a lot but then gained it all back. I was playing the yo-yo diet game. I remember attending my cousin's wedding and I had to buy a suit for the event. I had to buy a size 62 suit. I knew that I was getting out of control so I saw my primary care doctor and discussed options about losing weight. My doctor talked to me about having weight loss surgery. At that time, I wasn’t sure what I was getting into. We talked for 45 minutes about my health, being with my now husband and our two boys, and I realized that I was worth it. I needed to lose weight for not just myself but also for my family. I attended an informational seminar to start the process. A week later, I received a call from the surgeon’s office to advise me what my insurance requirements were for me to have weight loss surgery. 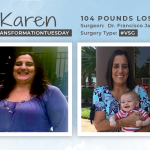 I decided to have the VSG - Vertical Sleeve Gastrectomy procedure. Upon making this decision, I googled all the WLS procedures, watched YouTube videos and read weight loss surgery books. I had to follow a 1500 calorie diet, attend a psych and nutrition evaluation, then go for an EGD. I completed all of the required items within three months. The surgeon’s office submitted my referral with my insurance and I was approved. This was the happiest day in my life. By watching the videos and other resources, I knew what to expect having the VSG. I had my surgery on Nov. 12, 2014. The only real discomfort I had was gas pains that lasted about a week. Other than the gas pains, the surgery was very easy for me. I had some issues getting sick the first six weeks as a post-op, but since then, it has been great. I was very nervous how I was going to be such a new post-op for the Thanksgiving Holiday. It wasn’t that bad. At that time, I was able to start soft foods and a little meat. My first Holiday meal consisted of cauliflower mash and an ounce of Cornish game hen, and I was full. As the months went on, I consistently followed my eating plan and lost weight every couple of weeks. I kept going down in sizes and was feeling more excited about living again. I actually hit my goal weight of 196 pounds on my one-year surgiversary. This was the first time that I ever reached a goal of any kind. I lost a total of 194 pounds! Last month was my two-year surgiversary. I never thought in my life that I would maintain my goal weight range and fit into smaller size clothes. 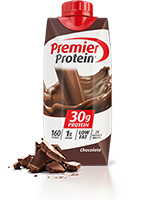 I still watch my protein goal and exercise about two to three times a week. Fitting comfortably in an airline seat while traveling. Fitting into a 34-36 size pants/shorts, and a large shirt. 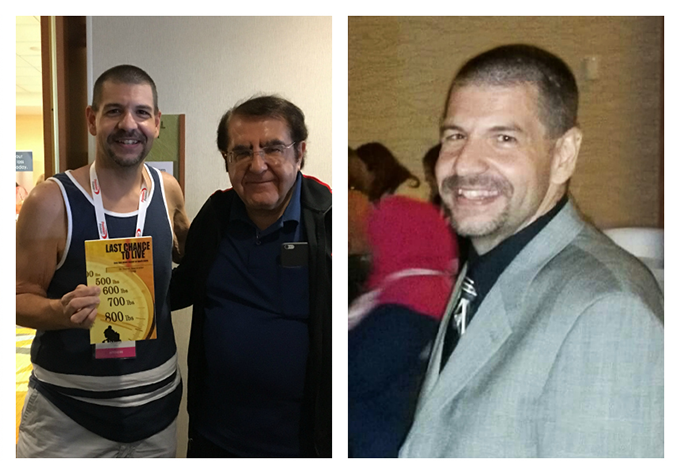 I attended the ObesityHelp National Conference for the first time in Anaheim September 30 through October 1, 2016. I had such an awesome time. I had so many NSV’s at the Conference. I dressed up as a Lap-Band surgeon for the costume contest and I won the best homemade costume and received a $25 gift card! At the Conference, I even walked the Fashion Show, or I should say, I danced onto the catwalk! When they called my name, I strutted on that catwalk doing a dance of celebration. Doing this was totally out of my comfort zone and it felt so good. Some of us from the Conference even went to Disneyland on Sunday and we rode rides that I would never have been able to do before. We walked the park for about 13 hours that day. How has ObesityHelp.com been a part of your journey? ObesityHelp.com has played a major role in my WLS journey. I started to blog on the site the first day of my pre-op diet with my PCP and blogged just about every month from the start of my process until about 10-months post-op. I added before and after pictures on the site and became friends with a few of the members. Through the ObesityHelp.com site, I even became friends with some people that live in the Tucson, AZ area. I am thankful for all the support I've received. Without being a member of ObesityHelp, I would not have the friendships that I have made and the knowledge of some of the vendors that are out there. I will be a long-term ObesityHelp.com supporter and attend their ObesityHelp National Conferences year to year. 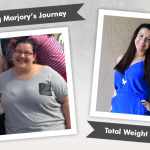 We’d like to celebrate your success and share your WLS journey! Do you have Before & Afters, special milestones and non-scale victories from your journey that you’d like to share? The OH team wants to hear from you! Visit our Before & After Submission page for details. 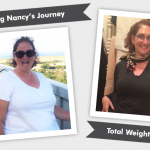 Before & After Gastric Sleeve with Nancy!